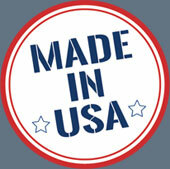 Philip Machine Co. is the oldest and most respected manufacturer of women's fashion metal chain belts in the USA. Our line of fashion metal chain belts contains the most extensive and varied styles found anywhere in the world. Choose a chain belt from our existing line, or we can customize a belt for you from our library of tools and dies. All the metal wire forms, connectors, stampings and die castings that comprise a fashion chain belt are produced at our facility here in Rhode Island. Total control over the entire manufacturing process ensures top quality and timely delivery to our customers. If you would like to customize a fashion metal chain belt for your particular market, please contact one of our knowledgeable sales staff and we will be pleased to assist in the process. We serve the most respected women's fashion belt manufacturers and retailers in the country. Philip Machine Co., as your plating accessory supplier, can provide the highest quality products and superior service at the best possible price. For all your rack, tray and basket needs since 1979, let us help you get the most production out of your coating systems. For metal finishers, Philip Machine's replaceable pin system is an economical method to maximize rack life. Its detachable wire forms allow the user to replace the holding pins within minutes without replacing the entire rack. There is no stripping and no burnoff. Hundreds of different wire-formed holding pins are available for attachment to plastisol or nylon coated racks. Click here to learn more about Philip Machine's plating racks. One of the premier pet collar and leash manufacturers in North America was unable to find a supplier who could weld to his pull test requirements 100%. The company wanted welded D-rings with very specific pull test requirements ranging from 900 lbs to 1500 lbs with a near 0% failure rate. The imported product they were receiving was very inconsistent, with pull test failure rates approaching 20% on some lots. By nature, the pull test deforms the product and, in fact, exceeds the tensile strength of the wire. Philip machine re-designed our welding machines with specialized cooling units to ensure consistently strong welds and allow for very high production rates, resulting in an exceptionally strong and economical welded D-ring. We added SPC pull testing during the entire production process and satisfied all the customer's requirements. Click here to learn more about Philip Machine's D-Rings. Philip Machine recently designed and produced all the racks required to finish Craftsman's 80th Anniversary Mechanic's Tool Set, which is featured in the new Sears Tool Catalog. This series of tools is now offered in a titanium blue and a sunlit topaz titanium finish. 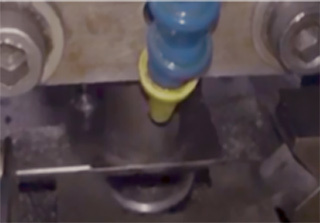 The finish is achieved through a physical vapor deposition (PVD) process that involves the vaporization of titanium material from a solid surface. Titanium material is transported through a proprietary low-pressure gaseous environment and deposited on the tools as a thin, firmly bonded, brilliantly colored finish. Each tool must be individually held securely on racks as they are moved through the vapor deposition chambers. An additional challenge was presented because 2.5 million tools had to be processed prior to the all-important Father's Day sales season. Philip Machine successfully designed, produced and delivered all the racks necessary to meet this production quota in the month of February. Recently, Philip Machine was approached by a premier international manufacturer of bottling and case packing machinery. They had a requirement for a series of welded D-rings and welded round rings to be produced in both round and half round stainless steel wire. The project entailed new tooling for six different d-rings and round rings manufactured to exact customer specifications. Their previous supplier not only had a high rejection rate on the parts that they had been furnishing, but they were also ceasing operations, leaving our new customer in jeopardy of shutting down production. Philip Machine was in a unique position to help. Due to our in-house ability to roll and shape standard round stainless steel wire to our customer's half round dimensions, we did not have to shop or wait for raw material. Within two weeks we were able to tool up and supply pre-production samples on two of their most critical needs. Our welded d-rings and welded round rings passed all QC testing with "flying colors," dimensionally as well as for pull test strength and finish quality. Tooling for all six items and initial shipments were complete within six weeks.